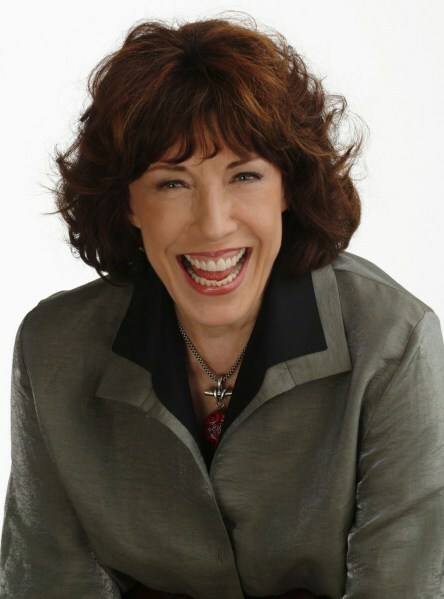 Lily Tomlin effortlessly charms an audience. Her acting abilities and transformations from character to character are incredible. One minute she is talking to us like we’re her friends and the next she is Trudy, the Bag Lady! Somehow she (slyly) segues into these characters and skits, until she breaks and comes back to us, like nothing ever happened. She really is a genius and I cannot use that word enough when describing her. Lily Tomiln joined us at Strathmore two years ago and I hope she returns before another two years goes by! I would see her again, tomorrow! If you don’t know who she is….you should get out more! Seriously though, she is many things: comedienne, actor, chameleon, true star, etc. etc.! No props, no make-up, no wigs, just Lily! It is almost indescribable what she does and how she does it. She often says, “it is times like these that I don’t know if I’m here because of you, or your here because of me? !” Her observational humor is very funny too and she throws in a few here and there throughout the night. “Stoned used to mean that people would stand around you and throw actual stones and hurt you. Now it means that you feel no pain!” “Swiped used to mean that you stole it. Now it means that you just paid for it!” Her time was greatly used. She performed her riveting and hilarious show for two hours straight and left to a standing ovation. She did do a Q&A, with previously submitted questions. She went on tangents that were fantastic and let us in on some funny stories about filming “Tea With Mussolini” and one of my favorite movies,”All of Me.” If you haven’t seen it, do it now..right now! I mean it! I am done rambling and gushing! For further gushing, see my revue from two years ago.